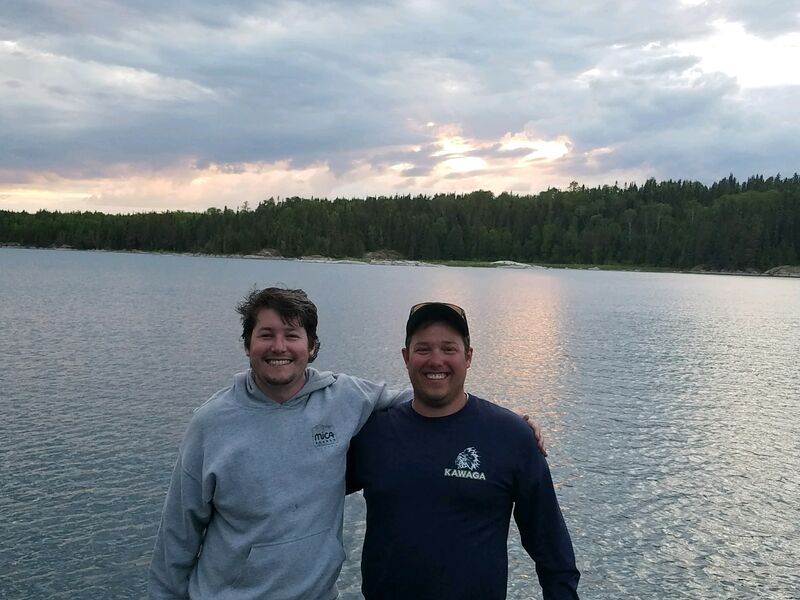 Way back in June of 2017, a fellow DTA'er, Grooty1515 and I went to Lac Seul Ontario Canada to catch some mighty walleye and northerns. Boy was it a trip! Each person caught roughly 50 fish a day and the smallest was 15". 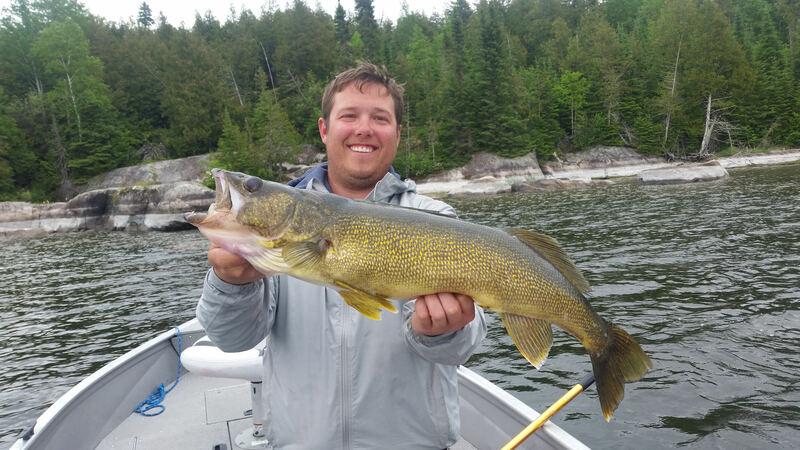 The rest of the walleye were in the mid twenties and many northern were caught over the 28" mark. It was great to have Grooty along on this trip. We have truly become great fishing buddies over the years. 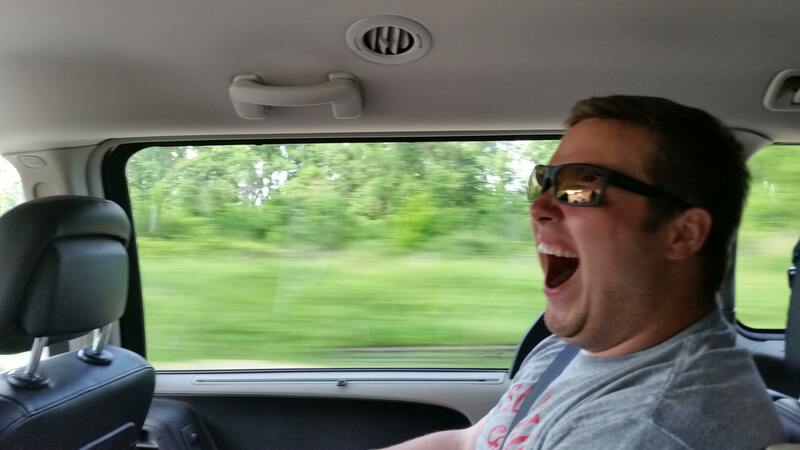 It's a long drive from Milwaukee to Ontario. 15 hours in total can make a man tired. We got to the border shortly before Midnight and were greeted by a lovely looking female border guard, but I wasn't able to snap a picture of her. 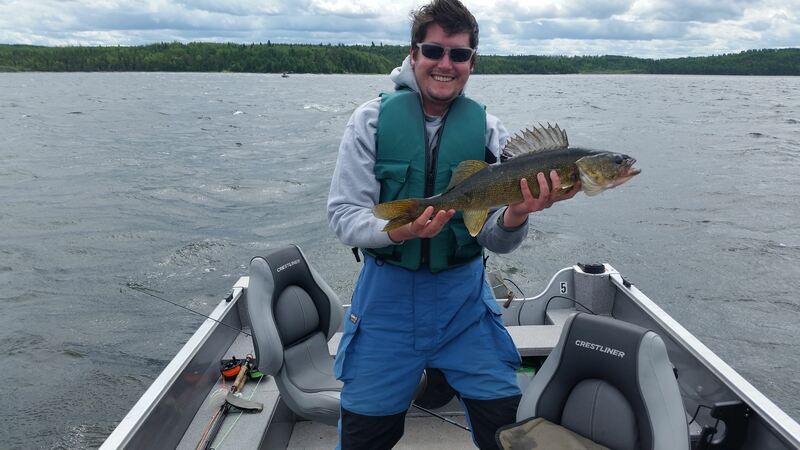 Grooty's first canadian walleye. What a happy looking guy! 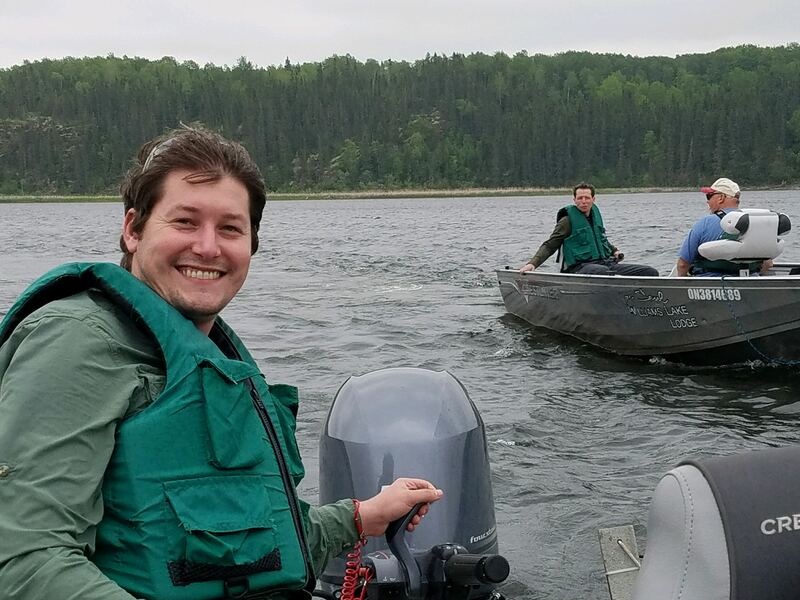 A big lake makes for long hauls on the boat. Sometimes we would be riding for a solid 45 minutes before we reached the fishin' hole. But we were happy when we reached our destination. That's my brother and dad in the background. They have been taking me to Canada since I was 14. Look at that dorsal fin! 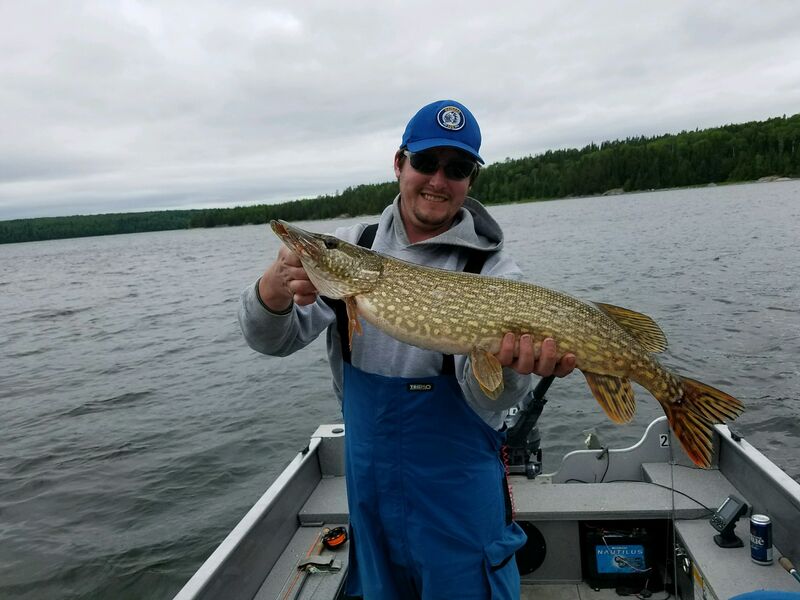 My best northern of the trip. 28" caught on a lindy rig while back trolling. 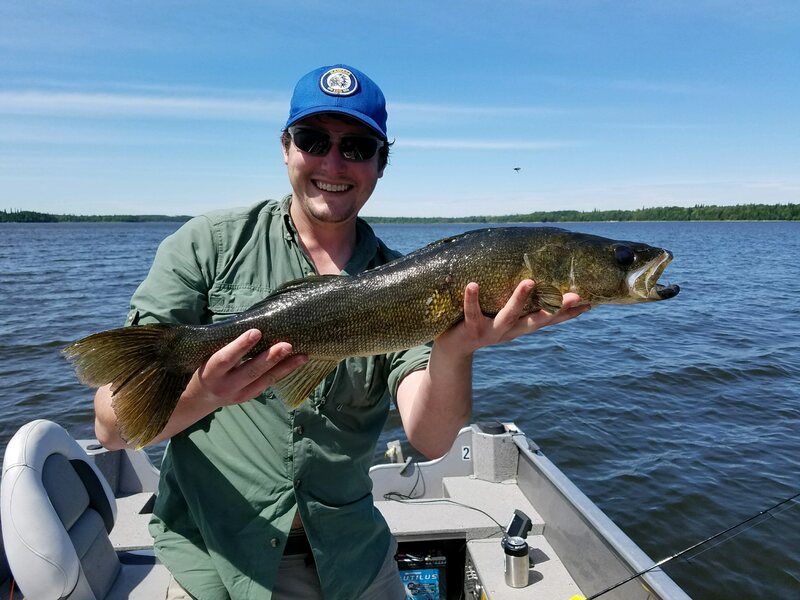 My best walleye at 27"! Grooty and I took an hour to do some exploring to find a "waterfall". In the last hour of our last day was the most productive time for Grooty. 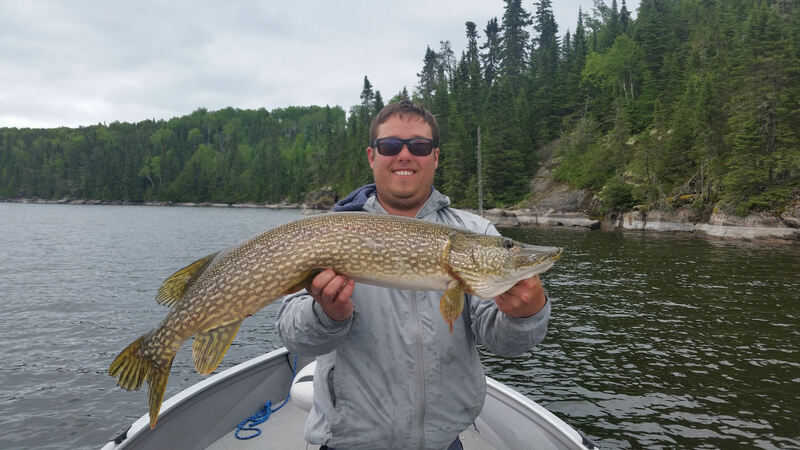 He clinched the trophy for our week long fishing contest with the next two beauties. Grooty had this fish on the fly rod. 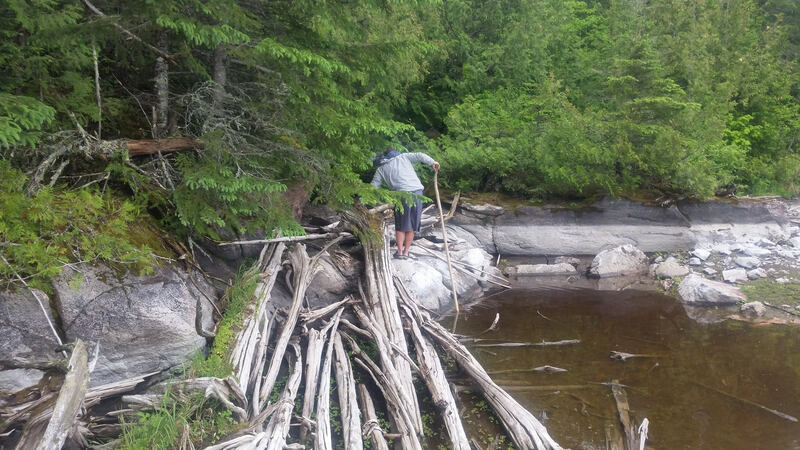 We were fly fishing a 6' deep shelf next to the shore for northern. 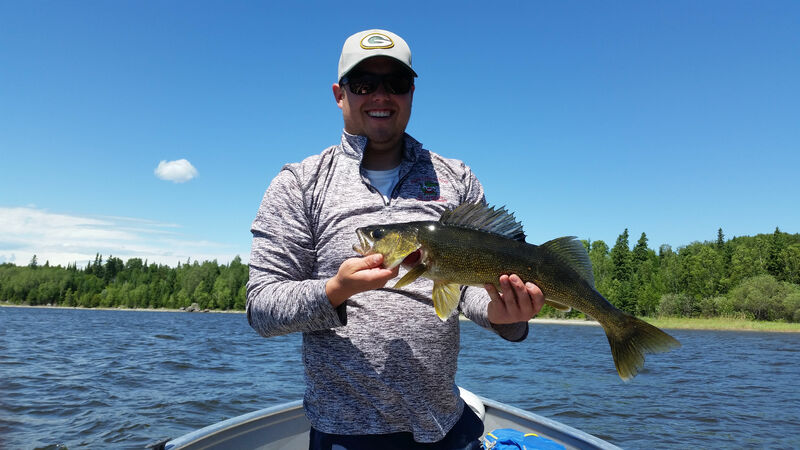 We THOUGHT this was a northern and was pleasantly surprised to find it was a 29" walleye! 5 casts later he catches this large northern on the same fly. I was jealous and happy for him all at once. But mostly pissed because he just clinched first place in the fishing contest by one effing point! You can see the storm clouds rolling in in the background. 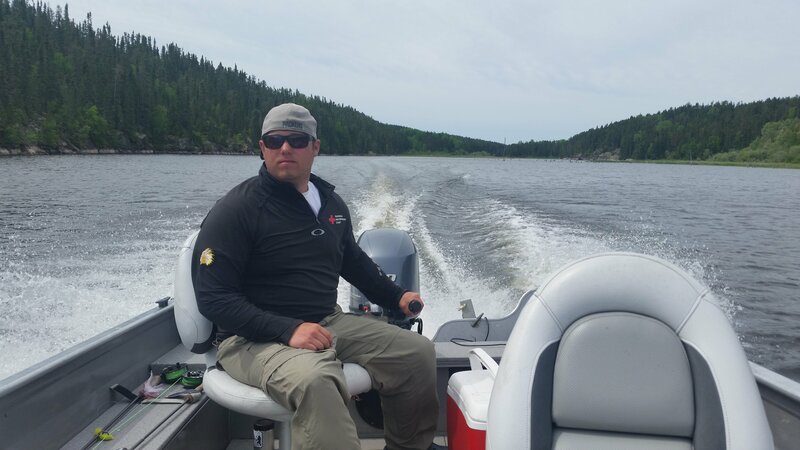 My brother, Grooty and I decided to head out late that day for northern fishing. We caught many fish but it turned from bad to worse. My brother stepped on a treble hook and it went deep into his foot. We decided to stay out longer in hopes of turning the day around, but we left the fishing hole too late. We turned the point and saw a wall of rain, so I pointed the boat towards shore, trimmed up the motor until it was sucking air and gave it hell. We spent the next hour on shore waiting out the storm and got back to the cabin just as it got dark to my very pissed off dad. He was not happy we weren't watching the weather. 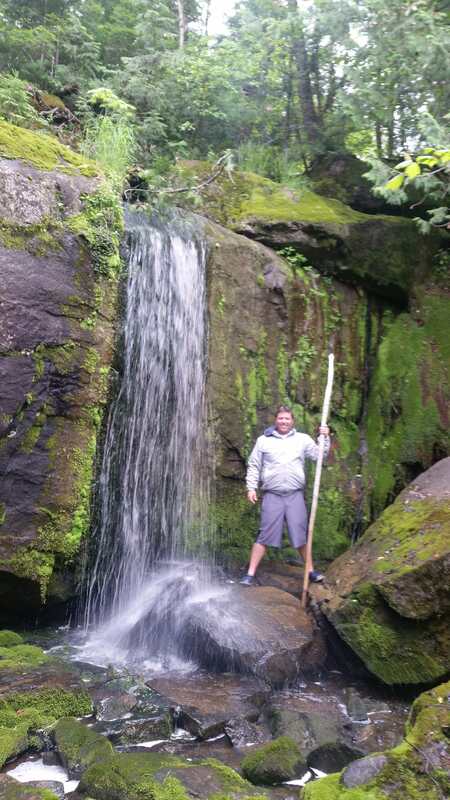 It was very dangerous but we made it out unscathed. All in all, a fantastic trip! I got to fish with my dad, my brother and my best fishing buddy Grooty. We're already looking forward to the next one! Missed this coz my laptop has been in the shop the past week. Looks like a great trip and you definitely did better than I did when I was up there in June. Dang looks like an awesome trip. Thanks for sharing! Excellent write up. Those are some beautiful walleyes. I would love to do one of those Canadian trips with my kids in the near future. It's a great place for you and your kids WI Fly. Willaims Lake lodge isn't too pricey either.